Christopher Schneck, MD, is an Associate Professor of Psychiatry at the University of Colorado School of Medicine and an associate professor adjunct in the Department of Psychology and Neuroscience at the University of Colorado, Boulder. He is currently the Medical Director of the Helen and Arthur E Johnson Depression Center and Behavioral Health Director for the HIV/Infectious Disease Clinic at University Hospital. Dr. Schneck received his undergraduate degree from Stanford University and his medical degree from the University of Colorado Health Sciences Center. He completed his Internal Medicine Internship, Psychiatric Residency training and Clinical Psychiatry Fellowship at the Yale University School of Medicine in New Haven, Connecticut. Dr. Schneck joined the University of Colorado faculty in 1995, where he treats patients, conducts research and teaches medical students and residents. He has received both local and national awards for his teaching. Dr. Schneck’s primary area of interest and research is in bipolar disorder, with a particular emphasis on rapid cycling bipolar disorder, adolescent bipolar disorder and early intervention in the development of bipolar disorder. He is the Colorado principal investigator on a 5-year, 3-site NIMH study further examining Family Focused Therapy as an early intervention for adolescents at risk for bipolar disorder. He has published articles and editorials in numerous journals, including The American Journal of Psychiatry, Archives of General Psychiatry, Bipolar Disorders, The Journal of Clinical Psychiatry, The Journal of the American Academy of Child and Adolescent Psychiatry, The Journal of Affective Disorders, and the Journal of Clinical Psychopharmacology. He is a past president of the Colorado Psychiatric Society and has been recognized nine times as one of Denver’s “Top Doctors” in 5280, a local Denver magazine. Rae Newberry is completing her degree in Psychology at the University of Colorado. She hopes to attend graduate school for clinical psychology or nursing. She has experience working as an assistant in physical therapy and on research projects investigating semantic processing in individuals at risk for psychosis. Briana graduated from Cornell University with a B.S. in Human Development. She then spent two years as a fellow at the National Institute of Mental Health in the Laboratory of Brain and Cognition investigating structural brain abnormalities in adolescents with autism spectrum disorder. She is currently a graduate student in Dr. Mark Whisman’s lab at CU Boulder, studying the impact of romantic relationships on mental and physical health. After graduating from Dartmouth College with a major in Psychology, Daniel joined the Developmental Neuropsychology lab at the University of Denver to study the reading development of minority populations around the Denver-Aurora Metropolitan Area. He is currently a graduate student in Erik Willcutt's Developmental Psychopathology lab and conducts assessments for the ADAPT lab. His primary interests include early identification and remediation of developmental learning disabilities (e.g., dyslexia, math disability, ADHD) and the dissemination of evidence-based remedial practices. Marie Banich, Ph.D., is a professor of Psychology at the University of Colorado at Boulder, where she also serves as director of the Institute of Cognitive Science, a multi-disciplinary institute dedicated to exploring the science of the mind. She also holds an appointment in the Department of Psychiatry at the University of Colorado at Denver. Her research specializes in using brain imaging techniques to understand the neural systems that allow us to direct our attention and our actions so that we can prioritize, organize, and target our behavior in a goal-oriented manner, abilities often referred to as executive function. She will help the ADAPT team with interpreting multi-modal data imaging and patterns of adolescent/young adult neural development. Dr. Caligiuri attended the University of Wisconsin, Madison where he received a Ph.D. in neuroscience with an emphasis in motor control. Dr. Caligiuri began working with faculty in the Department of Psychiatry in 1987 to test novel instruments for quantifying tardive dyskinesia and drug-induced Parkinsonism. In 2006, he was appointed as Director, Human Research Protection Program at UCSD overseeing five IRBs charged with monitoring the ethical and regulatory conduct of human subjects research at UCSD. Dr Caligiuri’s research focuses on understanding how motor function and impairment can be useful in the diagnosis and treatment of affective and psychotic illnesses. He is working with the ADAPT team to analyze motor development for ADAPT participants. Jessica received her PhD in Cognitive Neuroscience from the University of Michigan in 2012. While at Michigan, her research combined behavioral measures of motor and cognitive function with resting state functional connectivity MRI to investigate the cerebellum in young and older adults. She is particularly interested in understanding the structure and function of the cerebellum across the lifespan in both health and disease. Jessica also has experience using non-invasive brain stimulation (TMS) to study the organization of the motor cortex and cognitive function, and has worked on projects investigating the motor and cognitive benefits of working memory training. Working with ADAPT as a postdoc, she investigated both functional and structural networks of the cerebellum in high-risk individuals over the course of their disease progression with respect to symptom severity and cognitive function. She is now a professor at Texas A&M University in the Psychology Department. 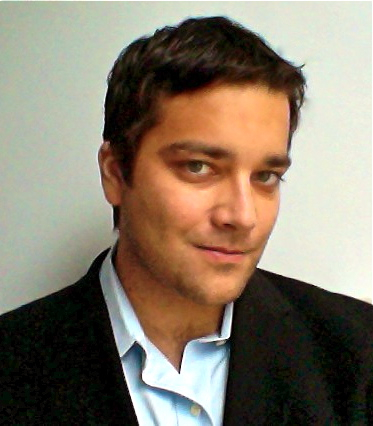 Joe received his PhD in cognitive neuroscience from the University of Michigan in 2011. His research focuses on identifying the neural mechanisms of cognitive flexibility, with a focus on understanding how behavior is guided by the interaction of internal goals and external information. He has interests in understanding how these mechanisms are disrupted in psychiatric disorders such as schizophrenia and substance abuse. During this postdoctoral training, he focused on investigating how brain connectivity differs between controls and high risk individuals, and how connectivity varies with symptoms and behavioral measures. He is now a professor at Texas A&M University in the Psychology Department. Christopher is an advanced doctoral student pursuing a dual Ph.D. of Clinical Psychology and Neuroscience at the University of Colorado Boulder. Christopher has been a member of the ADAPT lab since 2013. His mentor is Dr. David Miklowitz. Since 2005, Christopher worked with the Colorado Family Project for bipolar disorder where he serves as an FFT therapist and project coordinator. His training has focused on working with adolescents and adults who are living with or are at risk for severe mental illnesses, and clients from marginalized populations including peripartum women and LGBTQ people. His research interests focus on the role of family environmental and neurobiological variables in the course, prevention, and treatment of bipolar disorder, psychosis, and suicidality in adolescent and young adult populations. He has collaborated with the ADAPT team on several ongoing research projects. He is currently Directing a clinic in Portland. After graduating from the University of Virginia in 2006 with a degree in psychology, Jessica spent two years as a research fellow at the National Institute of Mental Health, investigating the phenomenology and pathophysiology of pediatric bipolar disorder. 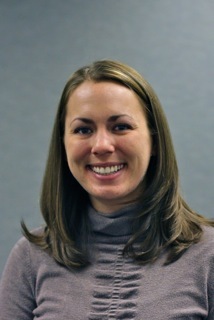 During her time at ADAPT, she was co-mentored by Drs. Mittal and Miklowitz. Her graduate research projects focused on the role of sleep disturbances in the course and treatment of bipolar disorder and early psychosis in children and adolescents. She completed her Doctorateat CU-Boulder in 2014, and is currently an Assistant Professor at Duke in the Psychiatry Department. Johana is from Venezuela and graduated from the University of Colorado at Boulder with a degree in Molecular, Cellular and Developmental Biology and Psychology-Neuroscience. During her time at ADAPT she worked on several research projects focusing on gesture, and served as a translator for Spanish speaking participants. She is currently in Medical School in Illinois. After graduating from the University of New Mexico with a double major in Psychology and Anthropology, Ashley worked as a research coordinator at the New Mexico Veteran’s Affairs Medical Center for five years, investigating neurocognitive abilities and neural mechanisms of sensory gating in schizophrenia. Dr. Soo Rhee is her mentor, and she also collaborated with the ADAPT team on a number of studies. During her time at ADAPT, her research focused on the etiology of psychiatric disorders, including genetic and environmental risk factors, and neurocognitive abilities associated with psychopathology. Lindsay is now a student in the Clinical PhD program at Duke University in Scott Compton's Labratory. Olivia is now working for Carrie Bearden as a research coordinator at UCLA. Talia graduated from the University of Colorado with a degree in Molecular, Cellular, and Developmental Biology and Neuroscience. During her time at ADAPT, she worked on participant assessments and projects related to developmental psychology. She is now a student at the Virginia Tech Carillon School of Medicine. Holly received her PhD in cognitive psychology from the University of Virginia in 2013. Her research focuses on the mechanisms underlying social functioning, with a focus on face processing and recognition. She has interests in understanding how these mechanisms are disrupted in psychiatric disorders such as schizophrenia. She has recently begun an exciting new career employing her significant analysis skills to help inform public policy and improve health disparities.